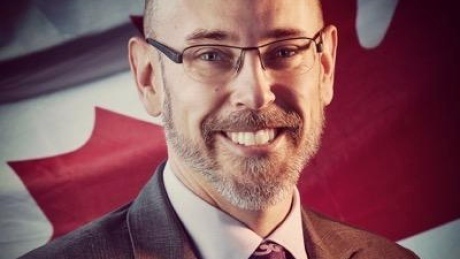 An NDP government would reinstate funding for AUTO21 at the University of Windsor immediately, party leader Tom Mulcair announced Wednesday morning. 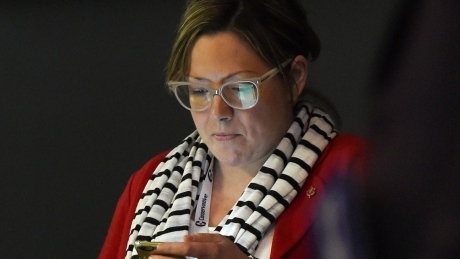 Social media sites like Facebook, Twitter and YouTube all give politicians great exposure, but offensive online posts can come back to haunt candidates on the campaign trail. Things that would have boiled and disappeared now have a more immediate fallout. 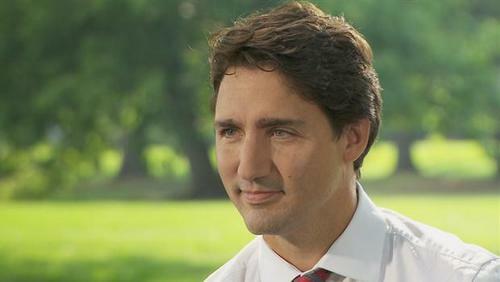 CBC.ca PlayerLiberal Leader Justin Trudeau sits down with Peter Mansbridge for an exclusive interview. 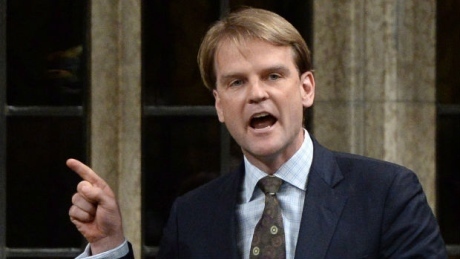 A reporter was heckled for asking a question about Syrian refugees at a Harper event earlier today. Let's be clear: both opposition parties are talking about enormous, enormous increases to payroll taxes in this country. 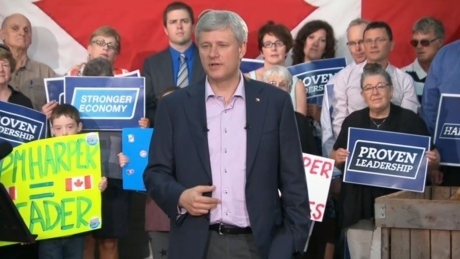 Stephen Harper is sticking to his plan to cut employment insurance premiums, a day after the Liberals rolled out their own proposal to reform the EI system. 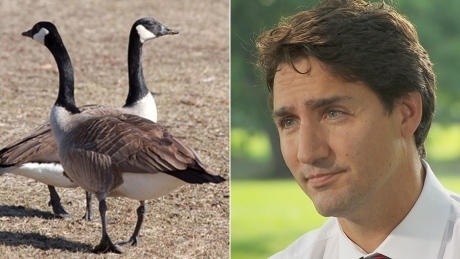 A gaggle of noisy Canada geese crashed Liberal Leader Justin Trudeau's one-on-one interview with Peter Mansbridge and the Internet was quick to weigh in on their motive. 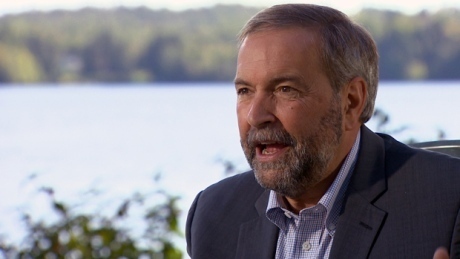 The NDP will be in Tory territory Thursday as the Conservatives head east to P.E.I. 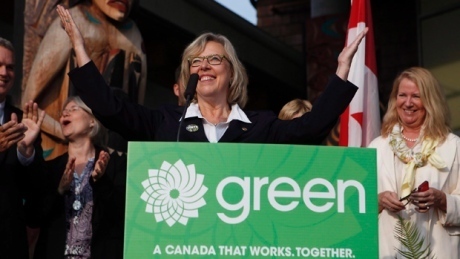 The Liberals will be on the west coast. They're ready to sacrifice decades of good relationships with our allies, but more importantly, to jeopardize the integrity of our passport system, putting everybody at risk. 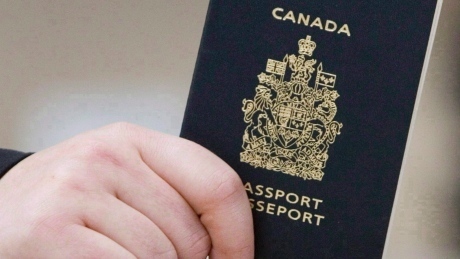 The federal government is bringing in major changes to the way Canadian passports are issued, changes that could speed up the renewal process but also invite forgery, fraud and identity theft at a time of heightened global security, CBC News has learned. 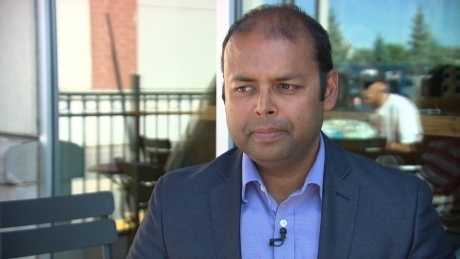 Justin Trudeau's campaign rivals are accusing the Liberal leader of disrespecting small business owners after a comment he made in an interview with CBC News Chief Correspondent Peter Mansbridge. 6:30 a.m. — Plot the day's Terry Milewski mitigation strategy. Place over/under bets on the length of the preamble to his question, and a bet on whether the leader will include "I reject the premise of your question" in his answer. 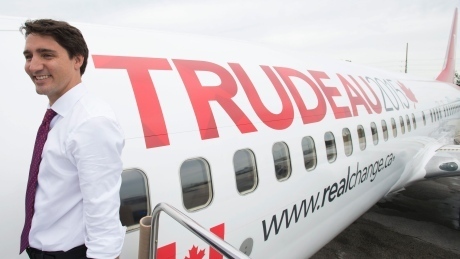 A day in the life of the prime minister's director of communications can be bloody difficult, but how does it compare to life on the campaign trail? 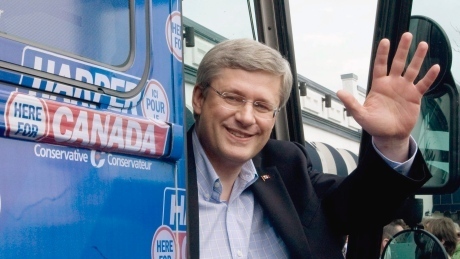 Former PMO spokesman Andrew MacDougall looks back on a typical campaign day, circa 2011. 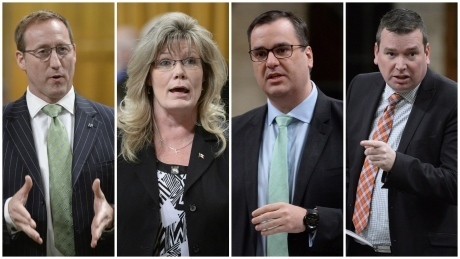 The annual pay for an MP is now set at $167,400, which means an outgoing member would receive a golden handshake of $83,700. Losing an election can be a bitter political blow, but generous severance pay for departing MPs helps soften the landing. 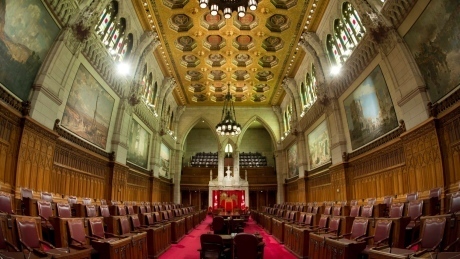 MPs are eligible for a lump-sum payment equal to six months’ salary — awarded whether the politician was defeated or simply chose not to seek re-election. 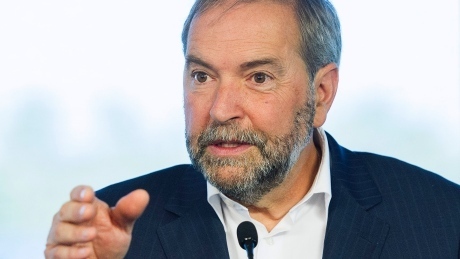 If Mulcair wants to make laws for the rest of us, he will need senators whether he appoints them or not. 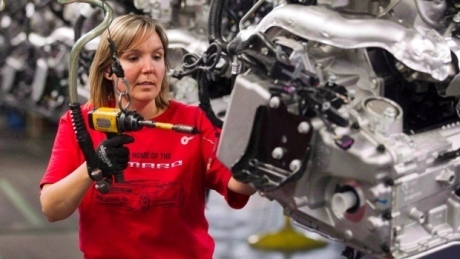 Leaders of Canada's major federal parties must "do everything they can" to create an effective national auto policy to maintain what remains of a dwindling industry, says an expert in the field. 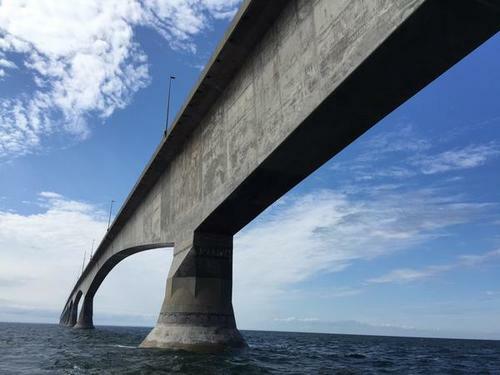 A re-elected Conservative government would invest $20 million in Canada's lobster industry, party leader Stephen Harper announced in P.E.I. Thursday. 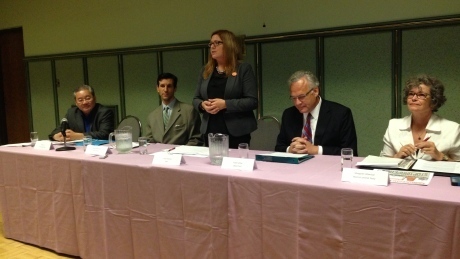 An all-candidates meeting brought five people seeking office to the Caboto Club on Wednesday night, where they answered questions about various election issues. One question they were asked was whether the country was ready for change. 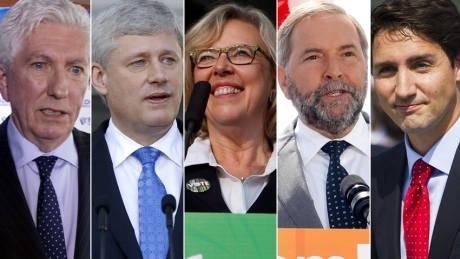 Some federal politicians are hoping to capture the elusive “new Canadian” vote in this election campaign. 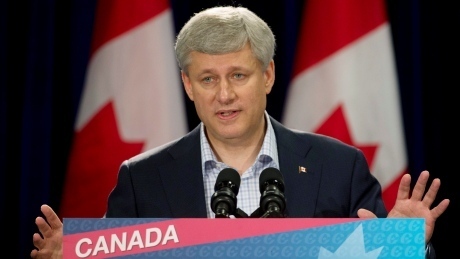 Stephen Harper took questions from the reporters this morning about the refugee crisis.